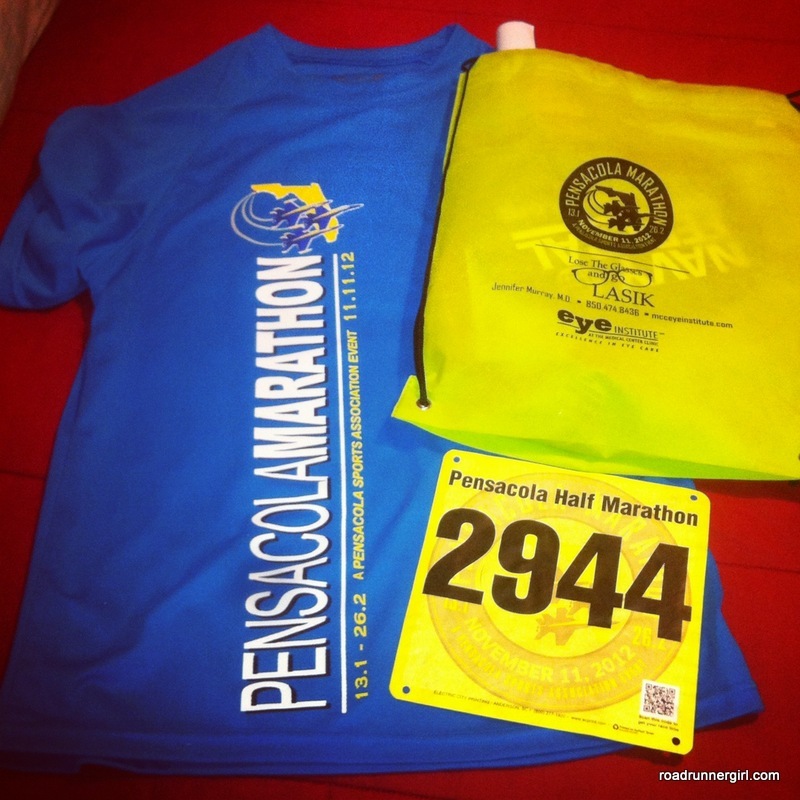 Road Runner Girl: Pensacola Half Marathon EXPO! This race wasn't a planned race for my Fall race season but I got the opportunity to run it and I couldn't pass it up! 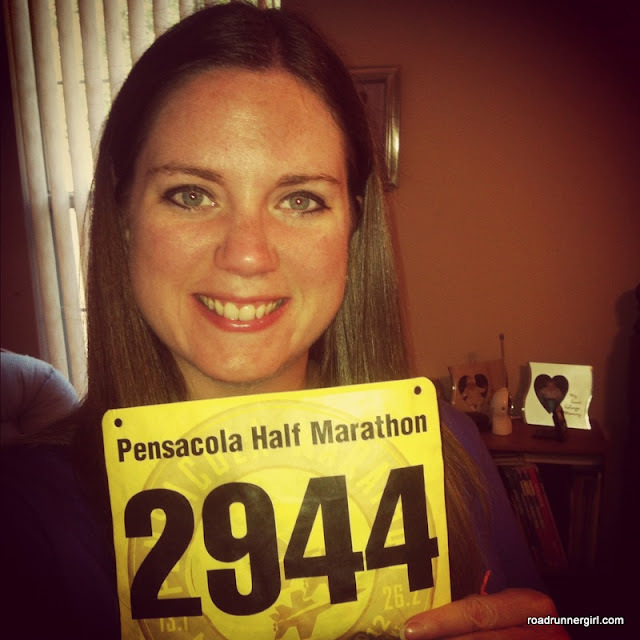 One of my Sole2Soul Sisters, (and Sweat Pink and Girls Gone Sporty Sister) Holly from Running and Baking Oh My, asked me one day if I would like to run it for free. Well...um let me think about...YES! I quickly checked my marathon training calendar and I was scheduled to run 10-12 miles this weekend so the race fit in perfectly with my training! Holly has a friend who works for Anderson Subaru (one of the sponsors of the race) and they had some race entries to fill. So I gladly accepted! Thanks so much Holly and Anderson Subaru!!! Holly was also running along with our two Sole2Soul Sisters Jessica and Janet! 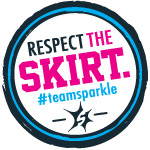 I also found out that another local Sweat Pink and FitFluential Ambassador was running this race...Regina from Life's Run! We made plans to meet up at the expo and have lunch! First thing...I want to thank Regina! I got lost coming off the interstate and had to call her for help!!! I hate one way streets lol! 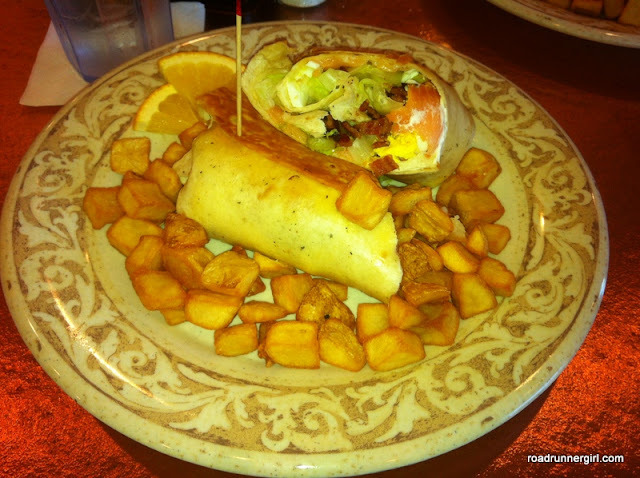 A warm garlic-herb tortilla filled with smoked salmon, chopped romaine, boiled egg, tomato, cream cheese, diced bacon, red onions & capers. I'm not an onion or capers fan so I left those off of mine. This wrap was absolutely delicious! I will definitely be visiting this restaurant again!!! After our fabulous lunch we headed to the Expo and to pick up our race packets. There were a few booths there but it wasn’t a huge expo. 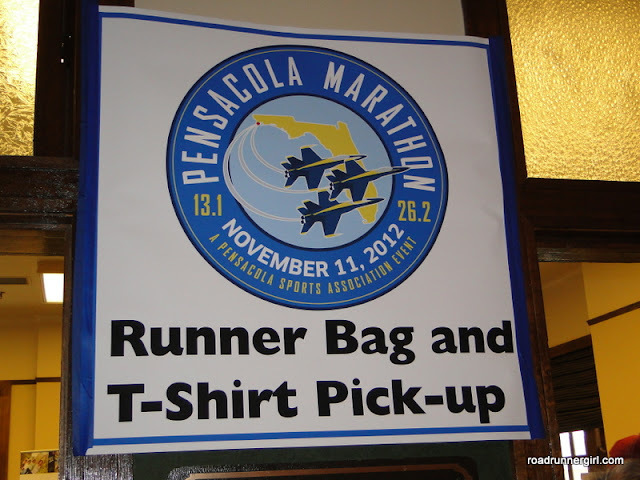 Packet pick up was super easy…you just told them your bib number and they gave you your packet. Then you went to another area and picked up your goody bag and shirt. I really enjoyed getting to meet Regina!!! 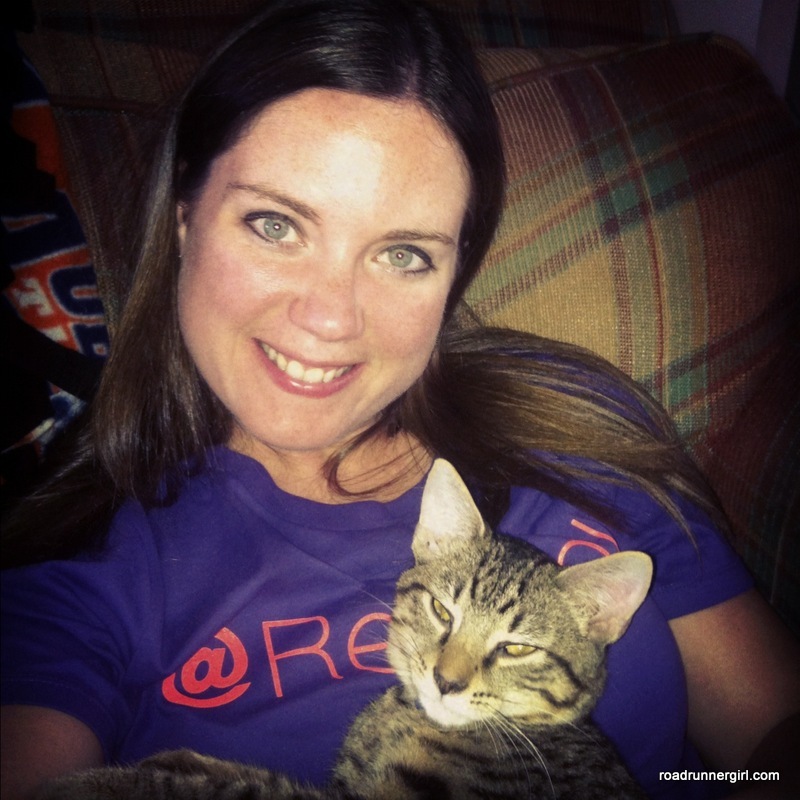 It’s funny how you feel like you “know” bloggers already because you read their blog! It was nice to actually meet her face to face! I know most of you saw my race gear on Facebook or twitter! 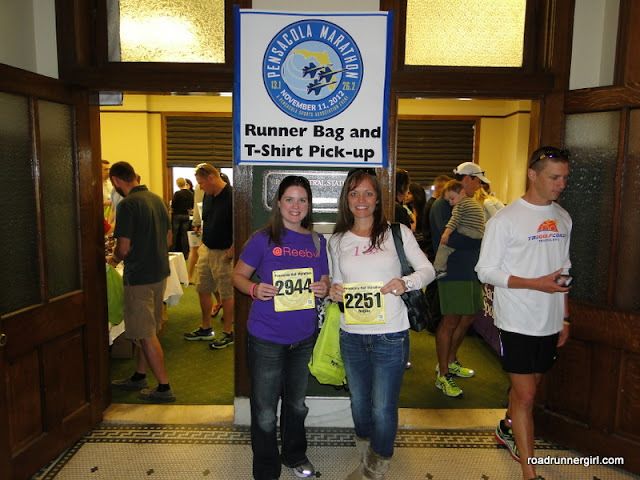 This is a race tradition for me…laying all of my race gear out and taking a picture! After the expo I went back home and had some sweet cuddle time with Cullen! And I had one of my usual pre-race meals…pizza! Yum! Then it was an early bedtime for me…I had to wake up at 4:15 so I would have time to make the hour drive to Pensacola! Stay tuned tomorrow for my race recap! QOTD: Do you prefer races that are close enough for you to drive to? Or would you rather travel far for a race?